Honey bees are on everybody's minds — including President Obama's. For the last several years, honey bees have been dying off at an alarming rate — 30 to 40 percent per year, according to Marla Spivak, a MacArthur Fellow and a professor of entomology at the U of M.
"Overall," Spivak told MPR News host Tom Weber. "Honey bee losses are unsustainable." And bees aren't the only threatened pollinator. Monarch butterflies have also suffered significant losses, though monarch immigration improved slightly last winter. To address the issue, the White House released the final version of a plan last week to improve pollinator health. "People are really understanding that the key to helping all of the bees and monarchs is getting more flowers in the ground," Spivak said. "The presidential memorandum shows that very clearly." Though larger scale efforts on both public and private lands will be necessary, homeowners can also contribute. 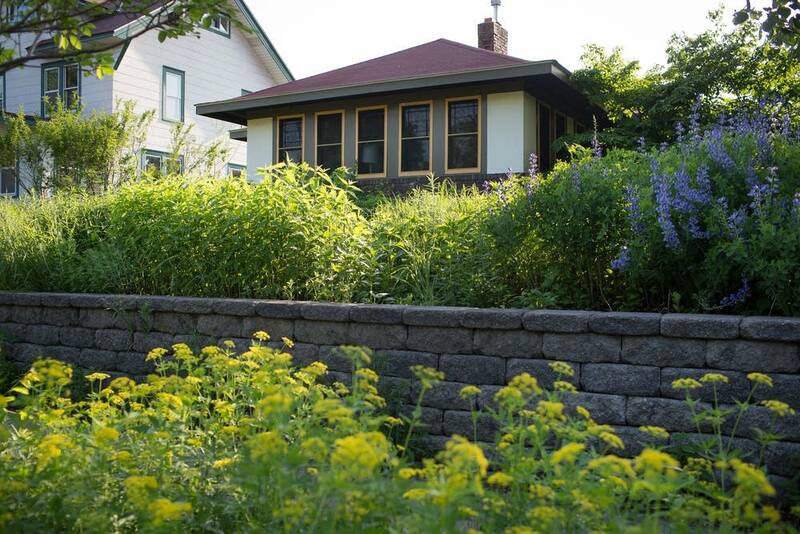 Spivak said she turned her St. Paul yard into a pollinator-friendly garden a few years ago. She got some push-back from the city originally, due to how wild it looked, until she put up a sign that "Pollinator Habitat." Of course, it doesn't have to look wild and jungle-like, Spivak laughed. "There's many ways to put in pollinator habitat that would be palatable," she said. Karen Oberhauser, a professor in the U's Department of Fisheries, Wildlife and Conservation Biology, said planting milkweed is key for monarchs: "Monarchs only eat milkweed." A list of other pollinator-friendly plants is available from the U's Bee Lab: Plants for Minnesota Bees. Dan Cariveau, an assistant entomology professor at the U, recommended the list: It has "a bunch of plants that are fantastic for bees, and they'll also attract monarchs and wonderful butterflies." For the full conversation on the state of pollinators with Marla Spivak, Dan Cariveau and Karen Oberhauser, use the audio player above.